From the outside, it appears impossible that an entire West End theatre could be fitted into this two-storey Soho corner. The Ambassadors is among the most notable achievements of the great theatrical architect W.G.R. Sprague; not only is there a medium-sized auditorium, cheerfully over-decorated, but the whole Louis XVI interior feels spacious and airy. When Agatha Christie adapted her own short Three Blind Mice for the stage, she could not have anticipated the impact that this clever little whodunnit would have. As The Mousetrap, it opened at the theatre, then called the New Ambassadors, in 1952. It played here for more than two decades before transferring to St Martin's Theatre, where it continues to break all records for the longest-running play of all time. Aside from this single monumental hit, the Ambassadors has focused, with considerable success, on high quality drama. Anne Washburn's stage adaptation of stories from the cult TV series written by Rod Serling, Charles Beaumont and Richard Matheson, set in a dimension of imagination known as the Twilight Zone. Olivier Award winner Richard Jones directs the West End transfer of the Almeida Theatre's acclaimed production. What are the best dining options near Ambassadors Theatre London? Ambassadors Theatre gyms, sporting activities, health & beauty and fitness. The best pubs near London Ambassadors Theatre. 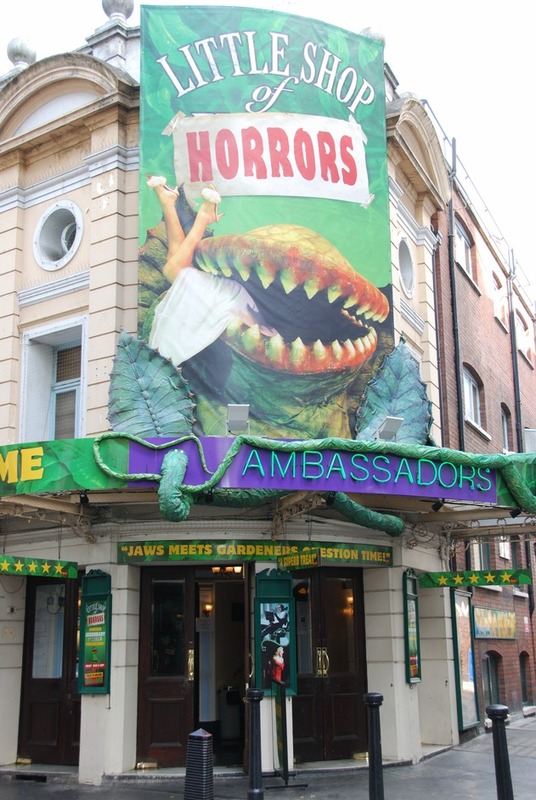 Ambassadors Theatre clubs, bars, cabaret nights, casinos and interesting nightlife. Where to have your meeting, conference, exhibition, private dining or training course near Ambassadors Theatre. From cheap budget places to stay to luxury 5 star suites see our special offers for Ambassadors Theatre hotels, including Radisson Blu Edwardian Hampshire Hotel from 89% off.